Keith Scott joined Banshee Bikes around 5 ½ years ago and had an almost immediate impact on both the bikes and the direction of the company. Keith, along with Jay MacNeil ran the company for about 5 years, before bringing on Jon Hadfield in April 2011. They each play an important role in running the business and the company’s current standing in the mountain bike industry is down to their hard work. 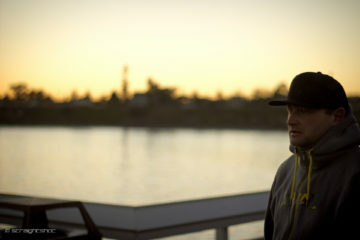 Keith is responsible for the current Banshee virtual floating pivot link system, named the ‘VF4B’ (by its original designer, Pippin Osborne). This, along with the ever progressive, and aggressive geometry of the bikes has seen them go from the early days of Soviet tank huck bikes, to some of the most fun and trail adept bikes on the market! As soon as rumours hit of Keith and the team at Banshee beginning work on a 29 inch wheeled trail slayer (important to note), people’s ears perked up and they began to take notice, as most knew that this would be no basic, steep, stiff XC oriented 29er. It could be said that Keith and the team at Banshee have a thing for the more aggressive and super fun trail riding side of this sport and people want to see what this, combined with a ‘wagon wheeled’ bike will create—no doubt it will be a great twist on the 29er market. So Keith, what sparked an interest to get into the 29er market? Was it something you had been thinking of for a little while before diving in? I’d been aware of 29ers for some time, but it was Jay who started the (wagon) wheel rolling by pushing for the Paradox hard tail. The 29er market is far less saturated with good designs than the 26” world, so when we saw the success of the Paradox the Prime was the next logical step. It is safe to say that I waited until I saw the market really taking off with more component options before I fully committed to 29ers… But it is clear that 29ers are here to stay, and have a huge following. What type of rider is Banshee attempting to please with the Prime? I guess I would describe the Prime as a true all mountain bike. There are a lot of frames out there that fall short of what they claim to be if you ask me, especially in the 29er market. Before we started making 29ers, the only 29ers I had ridden all felt like flexy wet noodles with steep, uninspiring XC geometry. The Prime is not only designed to be efficient and ergonomic for long days in the saddle, but also to offer the frame stiffness, suspension characteristics and geometry required for confidence and control when tackling challenging terrain at speed. How important is it for the Banshee Prime to be a more aggressive trail ripping 29er than most on the market currently? When designing the bikes I don’t like to compare them too much to what other brands offer, as that might well result in me just following their example rather than leading the way. My goal, as always is to create the best frame possible for the purpose I set out to design it for. 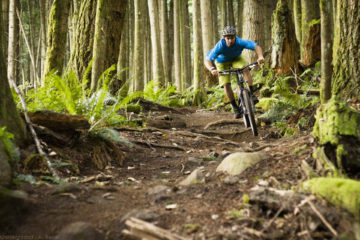 Because everyone at Banshee is an experienced mountain biker (Jon and I both worked as bike guides in Whistler), we understand the need to have confidence in our bikes and the knowledge that they can take on whatever (within reason) we want to ride. As such, we tend to design our frames to be somewhat more aggressive than a lot of other brands. With that in mind, did you adapt (or need to) your rider testing program to suit this focus? We pick test program riders based on a number of factors. We like to get a broad spectrum of riders (location, background and skill level) in order to give a good representation of our customer base. What are the greatest issues encountered when trying to develop an aggressive 29er mountain bike? Front derailleur clearance has to be the biggest challenge, especially when trying to keep the chainstays fairly short and using a higher performance virtual pivot style linkage with relatively large amounts of travel. 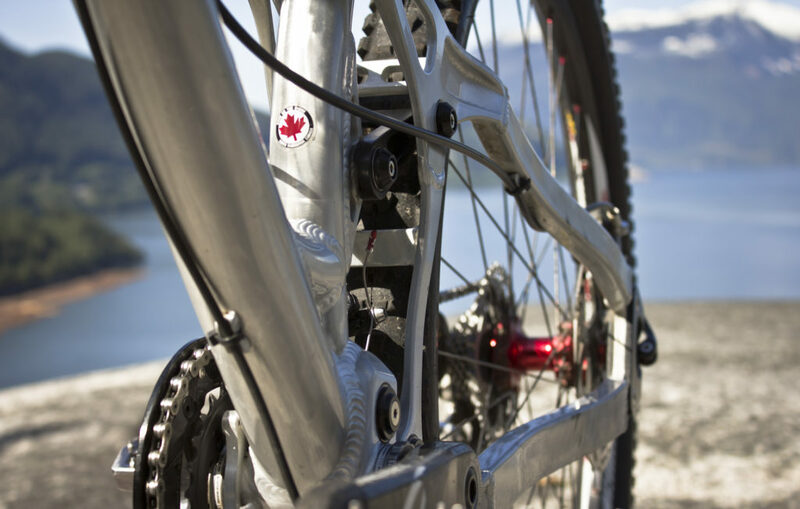 Front derailleurs simply are not currently designed with 29ers in mind. If going for a single pivot or faux bar design the fit would have been easy, but the performance of the frame would have suffered. It took a lot of work and many sleepless nights, but I managed to get everything out of the frame that I wanted for production whilst also being compatible with all low direct mount front derailleurs. How important is it to test the bike through the prototyping process; with select average Joe riders as well as professional ones? Professional riders are generally very smooth and ride very quickly, where as average Joe’s are in many ways a lot harder on their bikes. Each category of tester will notice different riding traits, so we use both pro and Joe type riders when doing our big testing programs, to ensure that all sides have been considered. I also like to have engineers and mechanics testing frames, as they will often highlight different potential issues, and regularly supply great suggestions and ideas. How much of an influence on the bikes development does this rider testing have on the final production model? When we carry out extensive testing like what has been done on the Prime, the testing feedback has huge influence on the final production model. All testers are asked to fill in feedback forms which I collect and collate the information to get an idea of the general consensus. I then redesign the frame as required. For example, after testing and feedback on the Prime the only thing to remain completely unchanged on the final design is the top tube…. everything else has been refined or redesigned based on our own personal testing and the feedback supplied by our testing team. 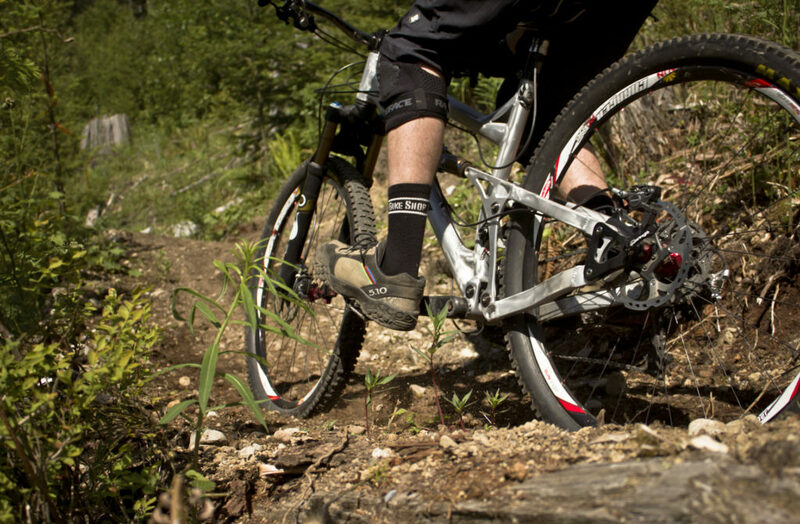 Aside from rider testing, what other procedures are undertaken to ensure that the bike delivers on the trail? Well before the large scale testing program starts, there are many stages of testing done. I do a lot of calculations on frame loadings and suspension performance when in early stages of the design, which I then take and apply them to extensive FEA testing of the concept—redesigning and refining as required. Once theoretically happy we have a few prototypes made which are machine destruction tested then if we pass the tests we make more to be ridden by myself, Jon and Jay, as well as potentially a bunch of team riders. We then do more refinement if required before pre production testing starts. Could you explain a little about FEA testing—what does it stand for and how important is it in frame development. Finite Element Analysis (FEA) is essentially a way of creating loads and boundary conditions on a 3D computer model, and then simulating the effect they have on the structure to measure stress and strain under the simulated load. The resulting images show locations of stress concentrations, and if under the factor of safety that I demand then I can redesign to reduce them until I deem them acceptable. It will also let me know how much a part will flex under load and if a part will deform over time or hit fatigue limits regularly. Obviously FEA is purely theoretical and based on perfect loading which makes it impossible to simulate all loads that a frame will be subjected to in its lifetime. I therefore pick worst case scenario loads as a basis for initial design (loads that will bend fork steerers, cranks or break riders limbs), and design the frame to theoretically withstand these loads with a factor of safety added on top. Prototype testing must be done in addition to FEA. Although FEA can give a good indication of what a frame will withstand—machine load, impact testing and real world riding over a long period of time will give us real world data. The rear suspension design on the Prime appears to be a little different, could you explain a little about what is going on there? The KS Link design is essentially a short link 4 bar design, much like the VF4B design we use currently. However, since the rear shock is driven by the rear triangle directly it reduces a lot of pivot forces, which means that the bearings will last longer and the frame can be lighter without sacrificing stiffness and strength. The other major benefit of the design is that it is extremely low friction. All pivots are effectively free of rotational friction, and since the rear triangle drives the shock in a fairly straight line, the amount of rotation at the DU bushing (which is the only real source of rotational friction), has been reduced by 80%. The result of the KS Link design is a linkage that will react to bumps with less resistance and so offering the rider more traction and small bump sensitivity. The frame will have superior stiffness and will be low maintenance thanks to the lower loads going through the fully sealed bearings. What, if anything, is missing from the majority of the current crop of 29ers? The biggest issue, if you ask me, is with frame stiffness and geometry. There is so much focus on being lightweight that frames are often so flexy that they become very inefficient and are incapable of holding a line when ridden hard. A stiffer bike will climb faster even if it weighs a little more, and will be far superior when descending. Geometry wise there are too many people out there who look at geometry charts and believe that the numbers will tell them everything about how frame will feel and perform. Whilst the numbers are obviously helpful when picking frame size etc, they do not tell the whole story. 29er frames often have very steep head angles and short top tubes just to keep the wheelbases of the frames closer to that of 26ers. These oversights sacrifice a lot of the benefits that 29ers inherently have by generally making the bike feel awkward to ride. It is so important that a frame is confidence inspiring, as it helps you ride your bike faster and of course have more fun. 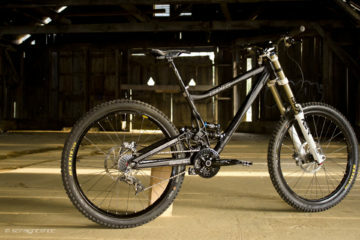 What is your view on the many opinions voicing the 650B to be the new standard for the 5–6 inch trail bike? 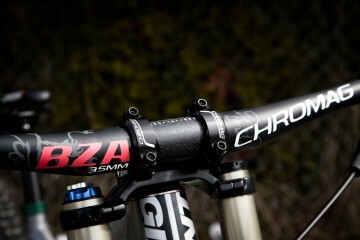 I’d be surprised if 650B replaced 26” or 29”. However I think it will become a popular standard for trail/all mountain bikes when the choice of forks, wheels and tires improves. Every rider has different needs depending on their riding style and local trails, who am I to tell them what they need? Instead I’ll try and supply what they ask for. Can we expect to see a Banshee 650B trail shredder in the future—somewhat of a hybrid between the Spitfire and the Prime? Haha, more on this to follow… let’s just say that there are many benefits to interchangeable dropouts! 1. What has been the most rewarding part of the design process for the Prime? Hearing from happy testers, and of course riding the prototype myself. 2. What’s the best story you have heard from a tester for the Prime? I’m not sure I can pick one specifically, but I’ve had a lot of testers telling me how happy they are with the frame, and that since getting on the proto they have been able to ride faster, tackle sections that they were previously scared of, and generally improve their riding confidence. 3. How many testers are out there riding the Prime? I think that to date we must have had somewhere near 70 riders testing pre production Prime frames. A lot of testers have passed it round to their riding buddies to have a shot, so hard to say exactly. There are 49 official testers not including Banshee team riders and employees. 4. 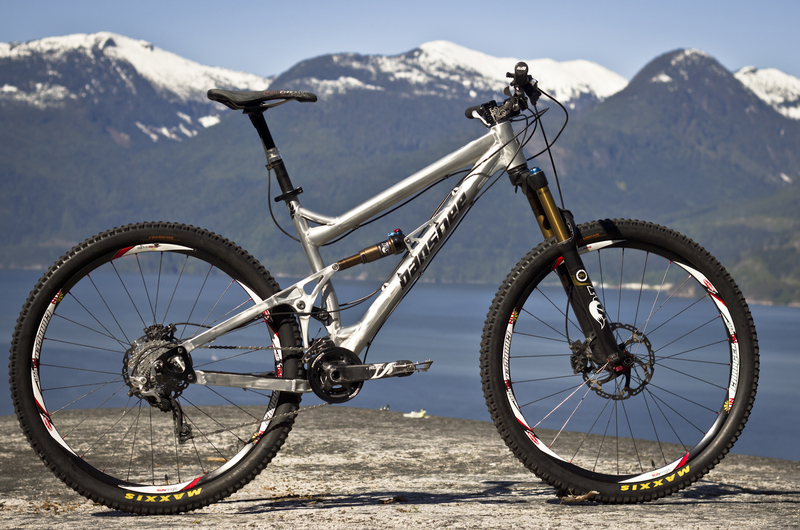 What is the most unexpected location that you have a tester riding this prototype 29er? Hmmm, good question. They have been tested everywhere from Israel, Canary Islands and Peru, to Malaysia, China and Indonesia, although the majority of testers are in North America and Europe. 5. Will the Prime help shut down the 29er naysayers? Only if they ride one! Haha! To be fair, you really have to ride one for long enough to get used to the different characteristics you get from a 29er before you start to see the benefits that the big wheels can bring in some situations. One ride won’t cut it, but persevere and it will make sense. There is a place for each wheel size, it just depends how you want the bike to handle and what traits are important to you. Any shout outs and thankyou’s that you would like to make? Big shout out to my colleagues Jay and Jon—we work hard as a team to push things forwards. I’d also like to thank all the guys who are working hard at our distributors and dealers, to give our customers great service and information. Lastly I’d like to say a massive thank you to all of our loyal customers. We rely heavily on word of mouth recommendations, as we do not have massive marketing budgets like a lot of brands do, so we really appreciate customers who spread the word.